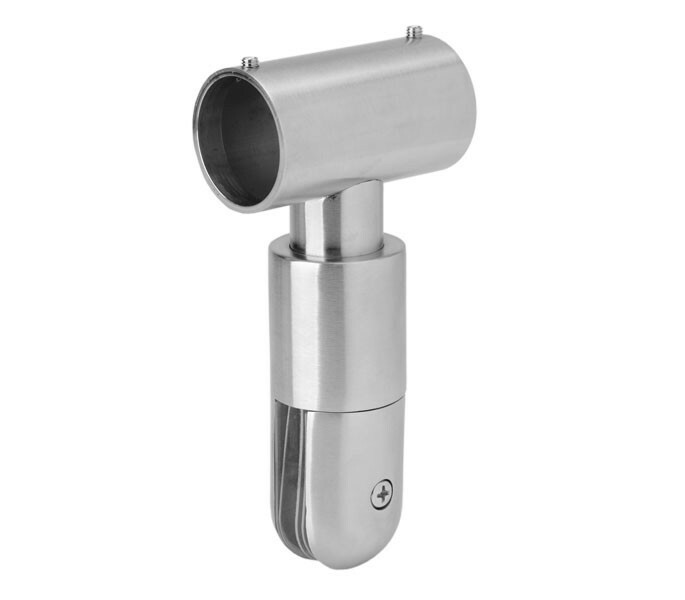 The headrail fixing clamp features a recognisable dome shape and is manufactured from durable grade 316 satin stainless steel, providing excellent resistance to corrosion and rust. Our cubicle headrail clamp is suitable for installation onto 10mm glass and 13mm board. The item features an adjustable clamp for the pilaster fixing and is secured with the machine screw supplied. The cubicle fittings are supplied with two grub screws to secure it in place on the headrail. Our cubicle headrail clamp is sold singly with the required fixings for installation. Fixings include two grub screws for securing the fit to the headrail and a machine screw for fixing the adjustable clamp to pilaster.